The red bean paste was very smooth and sweet! “Teru-teru Bozu”, hand-made dolls hanging from the roof. 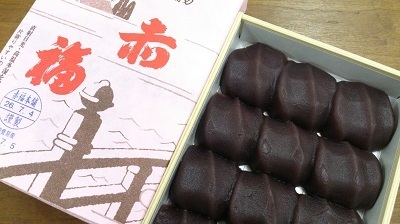 S-sama and M-sama visited our office with “Akafuku” which is a famous local sweet of their home town, Mie Prefecture. Thanks for a delicious sweet, S-sama and M-sama. All the LST staff enjoyed them. They kept these dolls hanging from the roof of their house to pray for a fine weather on their wedding. 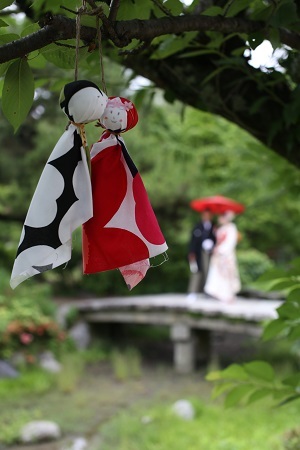 I wish this teru-teru bozu couple will work their magic again, as they did for the photo shooting. We’ll do our best effort to make your wedding a fantastic one tomorrow!